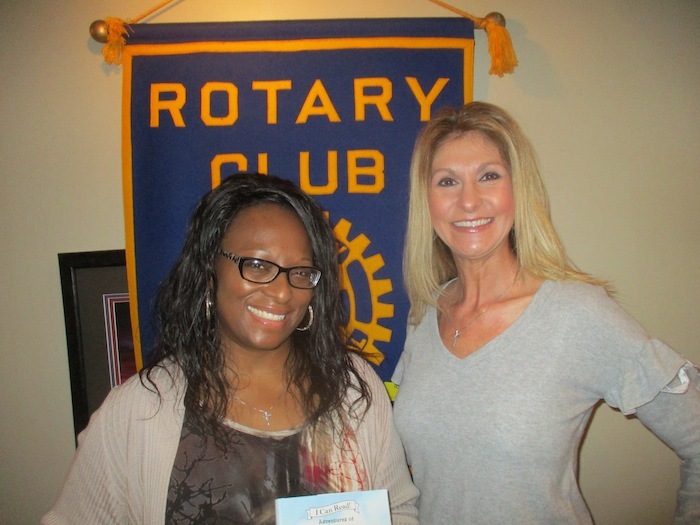 Rotary Club of Austintown hosted Yalonda Stewart as she spoke of services Care Club helps find for those with special needs. She became aware of shortcomings in treatments and accommodations as the parent of a preschool daughter who is having more success with some altered and special methods. Stewart is available at CareClubOH@gmail.com or by calling 330-967-0495. Above, Stewart, left, receives a book from Christine Vlosich, club program chairwoman, to be placed in her honor in the Austintown Elementary School library. May 10, 2011 4:21 a.m.